Welcome to Chinquapin Animal Hospital, your local veterinarians in Greenwood, SC. We’re pleased to provide a wide variety of veterinary services for animals in Greenwood and surrounding areas. Dr. Michael Ridgeway is a Georgia Dawg. He was born in Athens, Georgia and grew up on a farm in Cedartown, Georgia. He attended North Georgia College and graduated from Emory University. 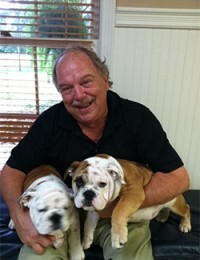 After graduating from vet school at UGA, he practiced for nine years in central Florida before moving to Greenwood in 1981. Chinquapin Animal Hospital opened in April of 1982. Dr. Ridgeway has two daughters, Lori and Gentry, and is married to Glenda. His favorite passtime is fishing. Dr. Dawg enjoys trout, bass and striper fishing and has several boats in which to do so. Dr. Paula Watkins graduated from Clemson University with a Bachelor of Science in Biological Sciences and a minor in Aquaculture, Fisheries, and Wildlife Management. She graduated from Ross University of Veterinary Medicine, which is located in the British West Indies. The years following graduation brought her more experience in small animal general practices, equine care, and emergency clinics. She joined the staff at Chinquapin Animal Hospital in July of 2007. Dr. Watkins lives with her five furry kids, which includes a dog and a cat from the Carribean Island of St. Kitts (home of Ross University), two labs and an Australian Shepherd, as well as her husband, Jim, son, Jackson and stepson, Brett. Dr. Caitlin Cochran joined Chinquapin Animal Hospital in May of 2016. She grew up in Honea Path, SC. 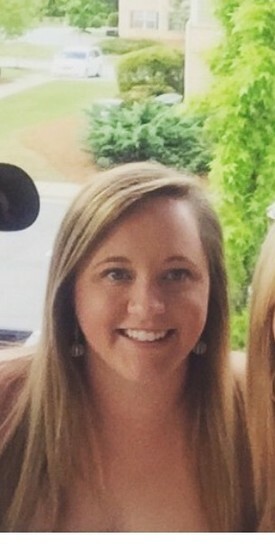 Caitlin attended Clemson University from 2009-2012 with a major in Animal Science before graduating from the University of Georgia College of Veterinary Medicine in 2016. 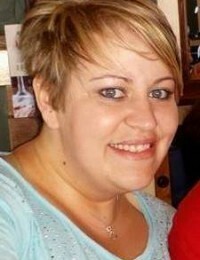 Caitlin currently lives in Honea Path with her husband, Jacob, and their daughter, Anna Kate. Together, they enjoy watching football and spending time outdoors. Their furry family members include a two Labrador Retrievers (Deuce and Tripod) , a Bloodhound (Cooper), a mixed breed dog (Diesel), one cat (Finn), a potbellied pig (Oliver) and numerous chickens. 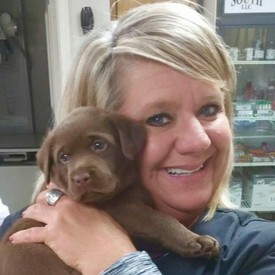 Tarah has been the Hospital Administrator at Chinquapin Animal Hospital since October of 2005. She began her career in veterinary medicine as an assistant at CAH in May of 2005, after having an interest in the field for many years. She attended Ninety Six High School, Lander University and Piedmont Technical College. She has an Associates Degree in Business. Tarah lives in Ninety Six with her fourteen year old son, Garrett. The Grahams have an English Springer Spaniel, Chesney, a Cavalier King Charles, Pistol, a Labrador Retriever, Brody and five cats, Tater, Howie, Rudy, Banjo and Tex. She enjoys reading, decorating, shopping, watching her son play baseball, and horses. She also owns two quarter horses, Jackson and Summer. Our hospital cat is Marvin. 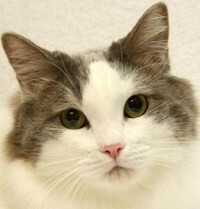 He is a 17 year old, very handsome, gray and white, long haired cat. Marvin was given to Dr. Ridgeway by a client whose dog was too jealous of him. He is very laid back and tolerates anything. 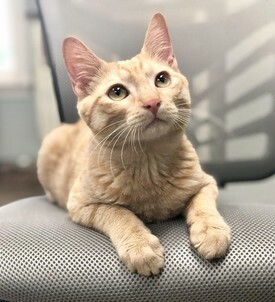 We consider Marvin famous, as his picture has been in our local newspaper numerous times as well as on our billboard and other hospital advertisements. Dr. Ridgeway says that Marvin is the best cat he has ever owned. Remi joined our Chinquapin family in October of 2018. He is fitting in well and learning about life in an animal hospital. If you are in the office and hear hissing, just know that Remi has made Marvin mad! 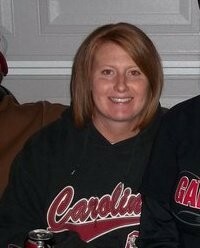 Maggie Wideman has been employed at CAH since November of 2010. She is the Front Office Manager. Maggie has an extensive background in customer service and has an Associates Degree in Criminal Justice from Piedmont Technical College. She lives in Saluda with her Belgian Malinois, Lycan. She also has three cats, Louis, Gandalf and Archer. Maggie enjoys reading and comic book conventions. She is also an avid movie enthusiast. 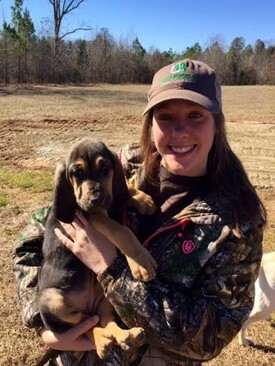 Lauren Toole began her career in veterinary medicine at the age of 12 in a large animal practice in Aiken, South Carolina. She first volunteered to help during surgery and later began working as a nurse anesthetist and a night nurse. 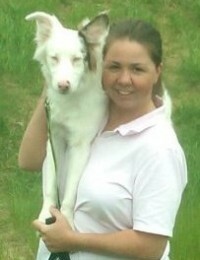 She started working at Chinquapin Animal Hospital as a veterinary assistant in August of 2006. Lauren grew up raising and showing horses on a national level. She was President of the South Carolina Palomino Exhibitors Association – Youth for many years. She graduated from South Aiken High School and then attended Winthrop University and Piedmont Technical College. She has an Associates Degree in Science. Lauren and her husband, Jeremy, have a son, Jeremiah. The Tooles have four cats and several dogs. They also show and breed American Staffordshire Terriers. Melissa Waters has been employed at CAH as a veterinary technician since September of 2013, after graduating from Piedmont Technical College’s veterinary technician program. Melissa and her husband, Heath, live in Abbeville. They have three dogs, Louie, Bella, and Willie Billie, and two cats, Sloda and Nez. She enjoys spending time with her nephews and niece, shopping, and staying fit. Paige graduated from Piedmont Technical College in 2014 with an Associates Degree in Applied Science, majoring in Veterinary Technology. She joined our team in May of 2016. Paige lives in Ninety Six with her husband Chris and daughter, Mykayla. They have two fur babies, Lexie, who is a Boxer mix, and Rajah, the holy terror pup! Paige enjoys time spent on the lake with family and friends. She also enjoys golf, pool and softball in her free time. 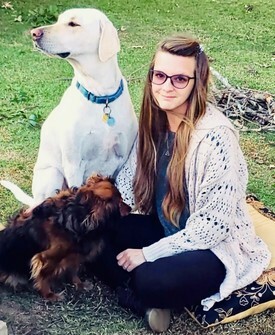 Fallon joined our team as a kennel/veterinary assistant in May of 2018. She lives in Greenwood but was born and raised in Miami, Florida. Before coming to us, she worked in an animal hospital in Ohio. Fallon is married and has two beautiful children. Her hobbies include rescuing and fostering animals, reading, and spending time with her family and friends. 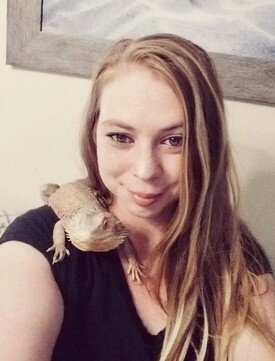 She loves all fur babies, but has a soft spot for the scaly kind! She has three leopard geckos, two bearded dragons, and an aqua iguana. 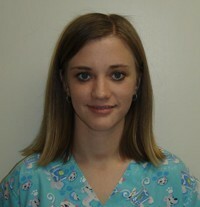 Tabby has recently rejoined our team after working at the Animal Emergency Center in Greenville for over a year. She completed the Veterinary Technology program at Piedmont Technical College in 2016 and has an Associates degree in applied science. Tabby enjoys continuing education in small animal medicine and pathology. In her extra time, she loves spending time with two children and husband, and reading.